We’d tell you to put your feet up this Labor Day Weekend, but that might not be possible if you tune in to our show with live recordings from the annual Ponderosa Stomp in New Orleans, featuring the best in swamp pop, garage rock and surf music. 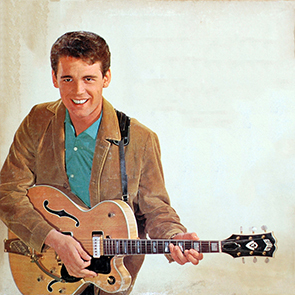 We’ll visit with Arizona twangmaster Duane Eddy. On the flipside, it’s an archival conversation with the late Wardell Quezergue, the New Orleans music maestro and arranger known as the “Creole Beethoven.” Finally the left-handed Gulf Coast guitar lady and singer known as “the black Elvis,” Beaumont’s Barbara Lynn. Come Stomp with us!